A Draft of the Postgres 11 Release Notes — Bruce Momjian has completed the draft version of the release notes for the forthcoming Postgres 11 release — so if you want to see what’ll be coming to Postgres soon, this is your one stop shop. Selecting All Columns Except One in Postgres — Google’s BigQuery has EXCEPT and REPLACE keywords for removing or replacing column results mid-query. Here’s a look at emulating such functionality on Postgres. 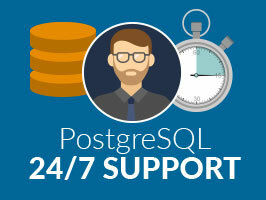 When It's Critical You Can Count on 2ndQuadrant — 2ndQuadrant support engineers have over 100 years of combined code contributions to the PostgreSQL project. We provide a guaranteed 15 minute response time and 24-hour bug fix - recovering your database quickly with minimal downtime. Are Triggers Really That Slow in Postgres? — Postgres enables use of database side triggers for all kinds of use cases. From the performance side they are in most cases actually harmless as these results reveal. Preparing Your Multi-Tenant App for Scale — Three key steps worth taking to ensure you won’t waste time when/if your database needs to scale. Understanding Deadlocks in Postgres (and MySQL) — A look at what deadlocks are, why they happen, and some suggestions on how to manage them. Full Text Search Made (Almost) Right in Postgres 11 — A look into how RUM indexes on Postgres 11 will make TOP-N and COUNT(*) queries for non-selective full text search queries significantly more efficient. Mapping Oracle Datatypes to PostgreSQL — A table to help you map Oracle datatypes to Postgres ones. Prisma Now Supports Postgres: Bring GraphQL to Postgres — Prisma is an open source layer for bringing GraphQL capabilities to existing databases and Prisma 1.8 introduces support for PostgreSQL. PGConf UK 2018 — July 2- 3 (London, UK) Will be held on July 3, with an optional training day on July 2, and will be hosted at 30 Euston Square.